Hounslow Council has defended itself against an accusation that it is a waste of money to build a new daycare centre in Brentford when a similar centre in Chiswick is lying idle. Councillor John Todd (Cons) from Chiswick said last week it was "bordering on a scandal" to spend more than £2 million building a day centre at Acton Lodge, London Road, Brentford. Permission was granted on the grounds of modernisation at the last cabinet meeting on February 7. Chiswick Day Centre closed last year and is still unused. In a statement on the issue, Cllr Gurmail Lal, Hounslow’s cabinet member for adult social care, said that the Acton Lodge site was more central and was bigger than the one in Chiswick. Acton Lodge is currently still in use. “The way social care needs to be delivered is changing, and we have to adapt to meet those needs. We are no longer looking to provide day centres for the sake of it, but looking instead at how to provide positive outcomes for people within the community. It isn’t about having area-based facilities, but taking a more holistic approach to service provision for the entire borough. “We have a duty to provide day opportunities for people with more severe disabilities, and want to make sure this is located as centrally as possible to minimise travel time for our service users, who may come from across the borough. The Acton Lodge site is more centrally located and meets this need. 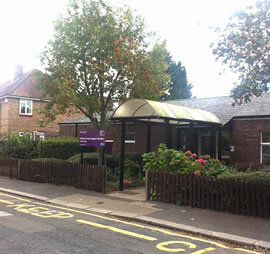 The Chiswick Day Care Centre site is 1650m2. The new Acton Lodge site is 2380m2. “It is also a larger site than Chiswick Day Centre, and while access is from the rear of the building – as has always been the case – it does not present the difficulties and delays in getting to the site that Chiswick suffered from as a result of congestion around its location.